Overwhelmed by the volume of security intelligence and alerts, human analysts need machine learning to augment and accelerate efforts. 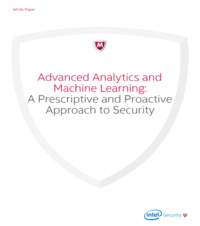 Machine learning moves security analytics from diagnostic and descriptive to prescriptive and proactive, leading to faster and more accurate detection. Download this whitepaper to learn more.